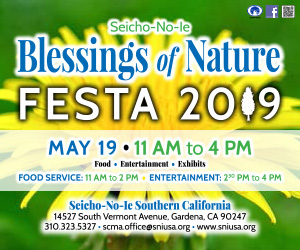 Funeral services for the late Mr. Toshio Nishio, a 95-year-old, Los Angeles, California-born Nisei resident of Ramona who passed away on June 1, 2012 will be held on Friday, June 22, 2012, 11:00 AM at Nichiren Buddhist Temple, 2801 E. Fourth St., Los Angeles, CA 90033. The family respectfully requests that in lieu of flowers, donations be made to the American Heart Association at www.heart.org/aha, or by calling 1-800-242-8721. Mr. Nishio is survived by his children, Janice (Colin) Backholer, Kathy Stevens of CO and Ken Nishio; grandchildren, Michelle and Eric Backholer, and Kyle and Jennifer Stevens of CO. Also survived by many other relatives.